Fifty of the 500 largest listed companies in the world are responsible for nearly three quarters of the group’s 3.6 billion metric tons of greenhouse gas emissions, so finds the CDP Global 500 Climate Change Report 2013 released this week. The carbon emitted by these 50 highest emitting companies, which primarily operate in the energy, materials and utilities sectors, has risen 1.65% to 2.54 billion metric tons over the past four years. Grande opération nationale, la 7e édition de la Journée du transport public a eu lieu le mercredi 18 septembre 2013 à l’occasion de la Semaine européenne de la mobilité, avec le soutien du Ministère de l’Ecologie. Il est fort probable qu’au-delà d’un public finalement assez restreint, ces actions pourtant lourdes de sens par les enjeux d’avenir qu’elles abordent, ne produisent qu’un léger bruit de fond dans une actualité tellement chargée. 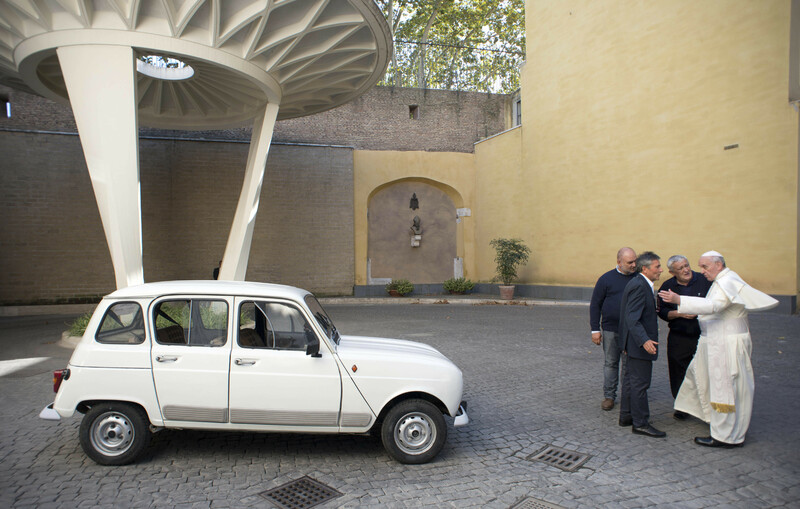 Bucking tradition, Pope Francis could soon be seen tooling around the Vatican in a vintage Renault 4. The vehicle, still in working condition despite clocking 190,000 miles, was given to the new leader of the Catholic Church by Fr. Renzo Zocca, an elderly priest from the northern Italian city of Verona. The car was used by Zocca to minister to a hardscrabble, working-class community, according to Vatican Insider. Indeed, it was the car’s legacy of working with the poor that inspired Zocca to hand the keys over to the famously populist Pope Francis.